I don't post a whole lot of cleaning or household or other how to organize or streamline your life tips on here because the cleaning/household/organize/streamline ferry does not make regularly scheduled stops here. I get almost all of my cleaning and organizing tips and helpful ideas from others who actually HAVE a clean and organized house. But, as I rounded up my buddies after breakfast this morning to do a little cleaning together, I thought I'd share a little somethin' that has helped me make dusting a bit more fun for my kiddos. Holey socks. (Of which I have many a pair. My boys are SO hard on their socks - that I'm regularly buying new ones because they get holey so quickly.) I used to throw them away. 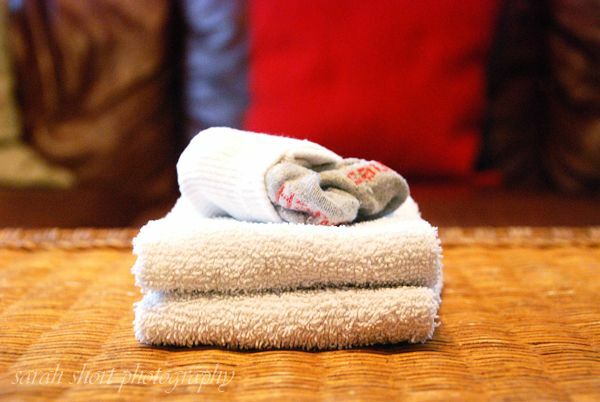 When it's time to clean, I grab some towels (for me), and a pair (or pairs) of holey socks for my little duster(s). See what I mean? These socks never had a chance. 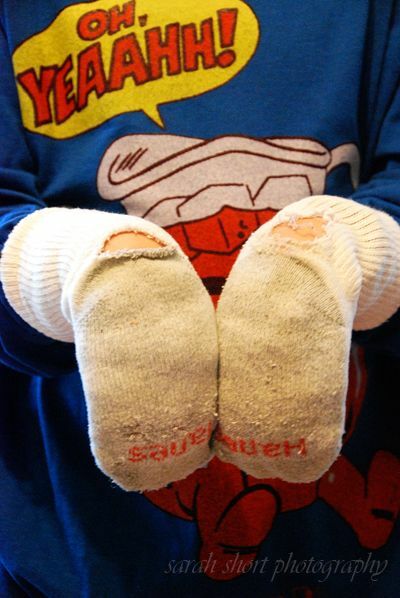 My little helper puts the socks on, with the holes on the topside of his hands. The holes usually end up around the wrists. Voila! A perfect (albeit slightly mismatched) pair of "dusting gloves". That are just the right size for little hands. Small places where their little hands can easily reach. All three of my older boys love to dust with these. And, I love having their help! 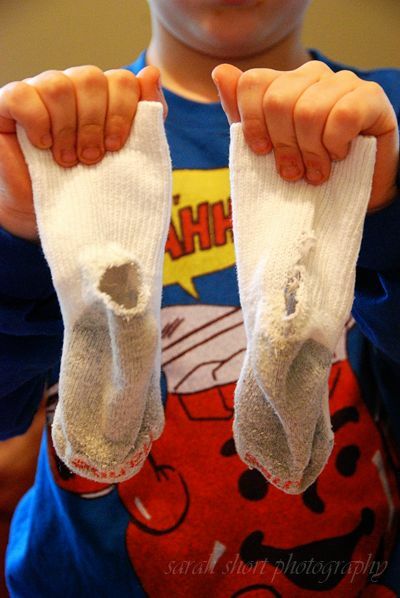 *If you have any other tips for reusing holey socks, I'd love to hear what you do with them! 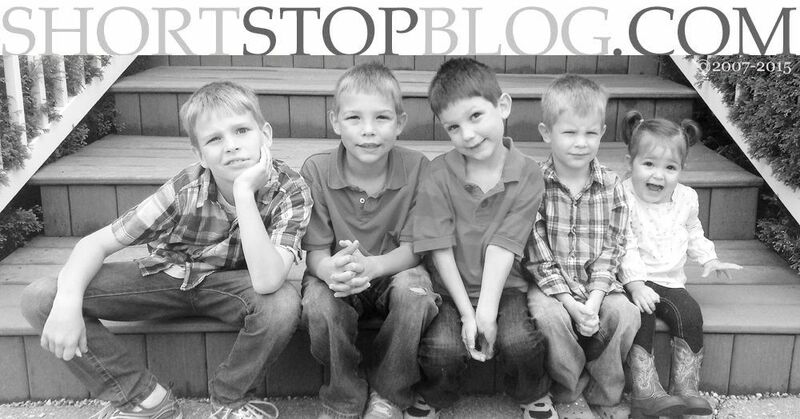 With four, active little boys in our house, we've got lots of 'em.! finally a use for all those sad socks i throw away. This is such a great idea! I am always, always looking for ways to repurpose things rather than throwing them away. Just did this today. Had one odd sock and it cleaned my entire bedroom to make it dust free. Now, how do I get the littles to come over and do it for me? Our teachers at the elementary school ask for them each year to erase the Smart Boards. It's hilarious because a lot of the teachers within a grade (like all the 5th grade teachers) will run a little competition to see who can bring in the most or the holiest CLEANED socks. They are great for keeping the Smart Boards clean and then can be thrown out. 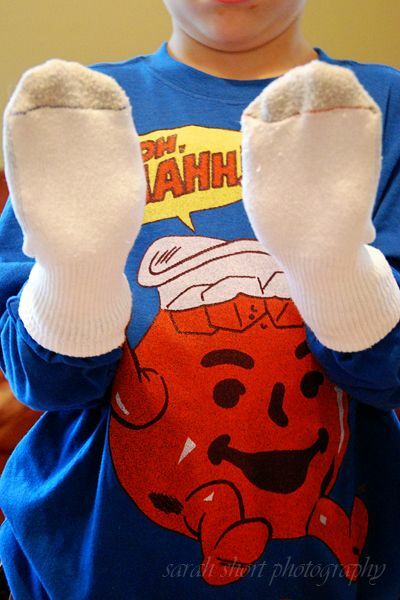 Put them on their feet inside out, put a little water and soap on the kitchen floor and let them help you mop.